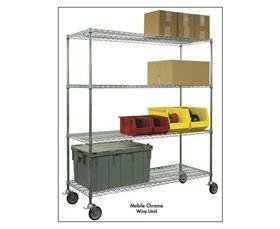 These mobile wire carts are highly maneuverable and come standard with 5" diameter swivel locking casters. Fast and easy to assemble. No special tools are required. 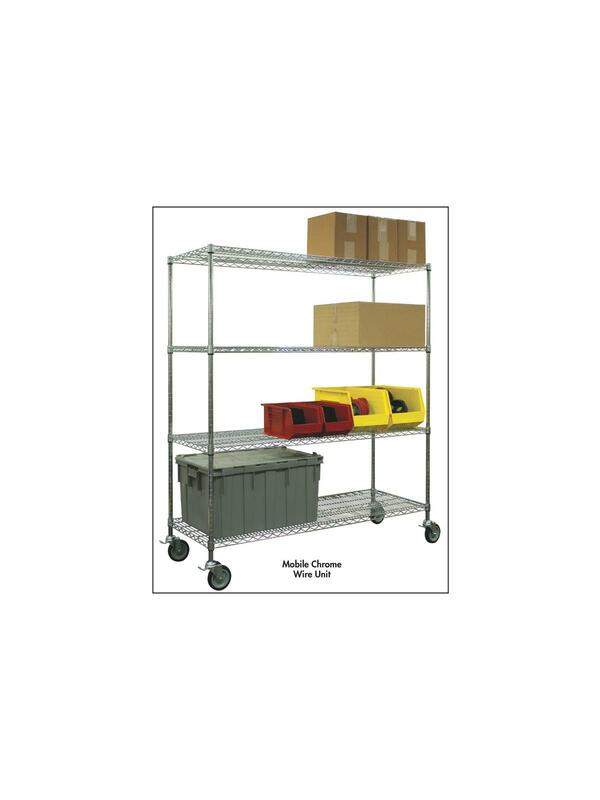 Shelves are fully adjustable in 1" increments. Cart capacity: 600 lbs. Available in 69" and 80" high mobile units that include 4 shelves. FOB Shipping Point. W x D 18 x 36" 18 x 48" 18 x 60" 18 x 72" 24 x 36" 24 x 48" 24 x 60" 24 x 72" 36 x 48" 36 x 60" 36 x 72"